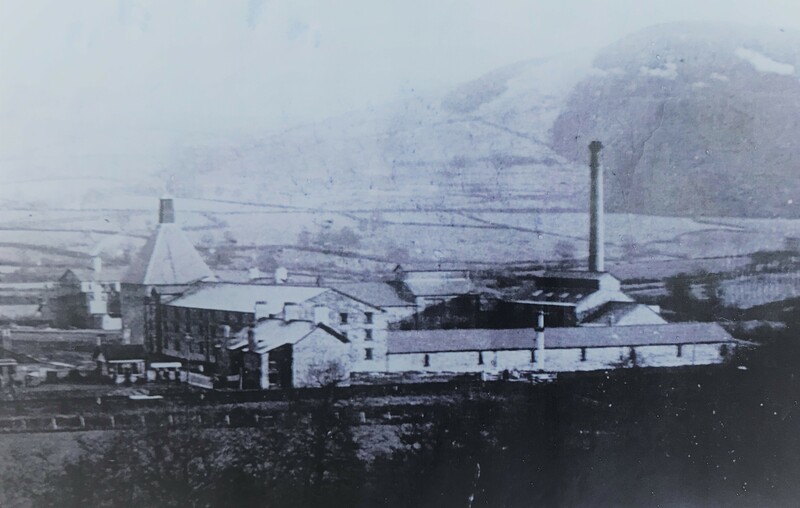 Penderyn was the first distillery in Wales for 100 years. The previous Welsh Whisky Company was in Frongoch, near Bala. Queen Victoria visited there in 1891 and on the 26th July 1895 the Welsh Whisky Co. received a warrant, and Royal Welsh Whisky was born. However, it was hampered by the temperance movement inside Wales and, unlike Penderyn, it remained a curiosity outside of Wales. Despite a sustained advertising campaign, the company was wound up in 1903. The whisky is a Peated Portwood finish and has an abv of 43%. The RRP is £45. It can be bought online here: www.penderynstore.com. 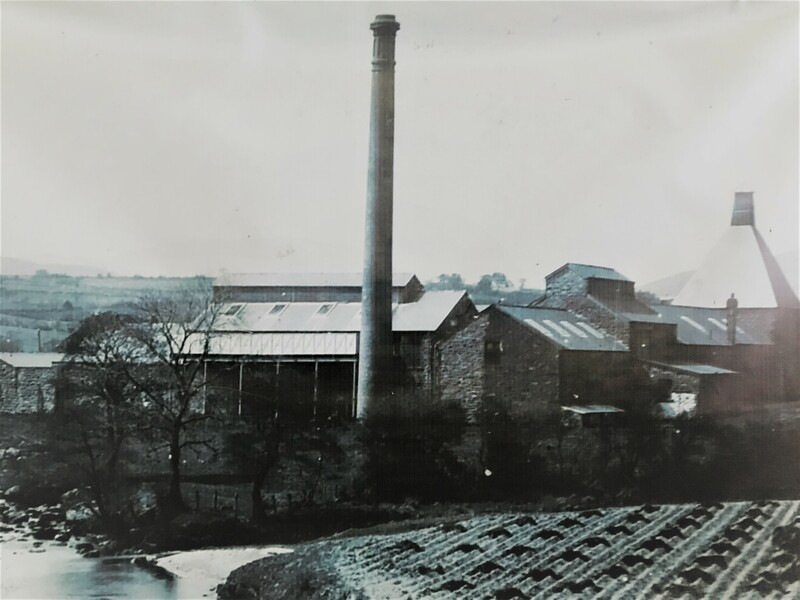 The distillery was later demolished – stone and bricks were taken elsewhere and re-used – but there are a few remaining buildings on the outskirts of the site. 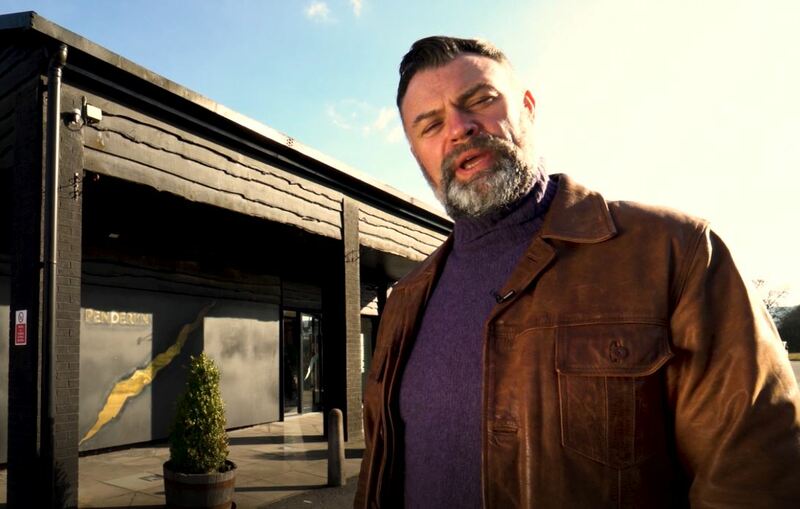 Penderyn recently visited to make a promo video with top Welsh actor Julian Lewis-Jones (Invictus, Justice League, Where The Heart Is – see pic below), and were shown around by local expert Alwyn Jones. He showed them the last brick that remains from the once mighty distillery chimney.